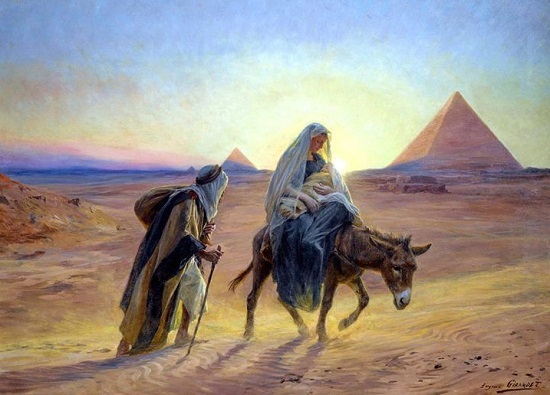 Jesus, Mary, and Joseph travel to Egypt. Image source. Here's a bunch of links about this. It's horrifying. Everyone needs to know about this and take action. Sign the ACLU petition "Stop the Government from Abusing Immigrant Children"